A second announcement from ULA this Sunday now moves the possibility of the launch to Monday, September 26 an extra week. Vandenberg Air Force Base, California. (September 18, 2016) at 8:48 a.m. – The launch of a United Launch Alliance Atlas V carrying the WorldView-4 satellite is no earlier than Monday, September 26 due to Western Range availability. The launch vehicle and payload are secure in the Mobile Service Tower at SLC-3. Earlier this Sunday morning at 6:25 a.m. the following announcement came from Vandenberg Air Force Station, California. (September 18, 2016) – The launch of a United Launch Alliance Atlas V carrying the WorldView-4 mission was scrubbed today due to the fire at Vandenberg Air Force Station wildland fire that began September 17. The launch vehicle and payload are secure in the Mobile Service Tower at SLC-3. 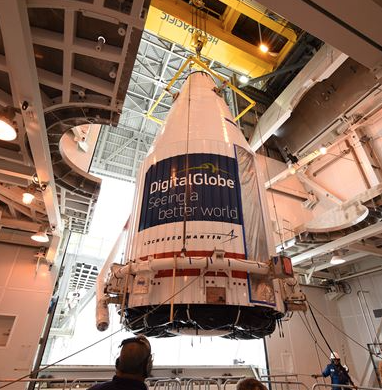 The launch is rescheduled for no earlier than Tuesday, September 20. Saturday word came with the explanation of the leak. Vandenberg Air Force Station, California. (September 17, 2016) – The team was able to isolate the leak, which caused yesterday’s launch scrub, to the ground system fill and drain valve. The team has replaced the valve and conducted a successful retest of the system. The launch team has begun reconfiguring the vehicle for launch. Atlas V will need 19 minutes to deliver the 2,100-kilogram satellite to its planned orbit 600 kilometers in altitude, followed by a secondary mission of two hours dedicated to the deployment of seven US government owned small satellites riding shotgun on the Atlas V.
When the launch finally takes place it will mark the first orbital space launch from the US west coast in over seven months, coming after the February 10 launch of a Delta IV carrying the classified NROL-45 satellite. The lengthy stand-down at Vandenberg was needed to relocate the main data center of the Western Range to a new facility at the base as part of a larger US Air Force effort to upgrade the Joint Space Operations Center located at Vandenberg. The move of this magnitude involved relocating 1,100 pieces of range hardware as well as an upgrade of support systems for the equipment, most had been powered continuously for a period of years. Downtime at the Western Range began in March and ended on August 18 when all of the systems had been completely tested at their new location with all configurations checking out. The Range provided services that included safety, tracking and communications for orbital missions heading out of Vandenberg. To ensure that all was settled in properly the Air Force conducted an operational test flight of a Minuteman 3 ballistic missile that verified the revamped range systems were safe before resuming support for orbital missions. WorldView-4, a multispectral, high-resolution commercial imaging satellite owned and operated by DigitalGlobe, will help customers around the world see more of the changing planet. 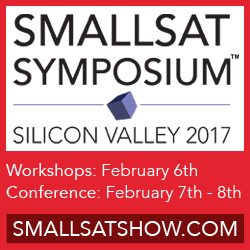 The satellite built by Lockheed Martin Space Systems Company and will reveal objects as small as 1-foot-wide (31 cm) in panchromatic mode and has a 4-foot resolution (1.24 m) in color. This industry-leading resolution provides the sharpest view of vital details on the ground, to give customers confidence when making critical decisions and doubles the capacity of WorldView 3 now in service providing the same quality high-res data. Launch Notes: WorldView-4 marks ULA’s ninth launch of 2016 and 112th since the company was founded in 2006. 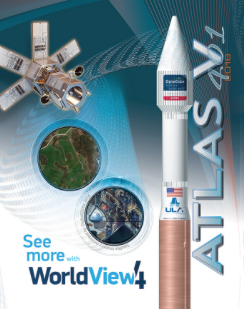 ULA also launched WorldView-3 on Atlas V in 2014.